This introductory interactive session focuses on designing program educational objectives, making student outcomes measurable, creating rubrics, and analyzing assessment data. Designed to give you the tools to develop your assessment process, this workshop is your first step toward formulating an efficient program assessment plan. 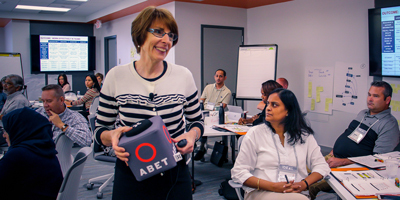 The workshop focuses primarily on ABET Criterion 2: Program Educational Objectives, Criterion 3: Student Outcomes, and Criterion 4: Continuous Improvement. $595.00 per person. Price includes lunch and all materials.